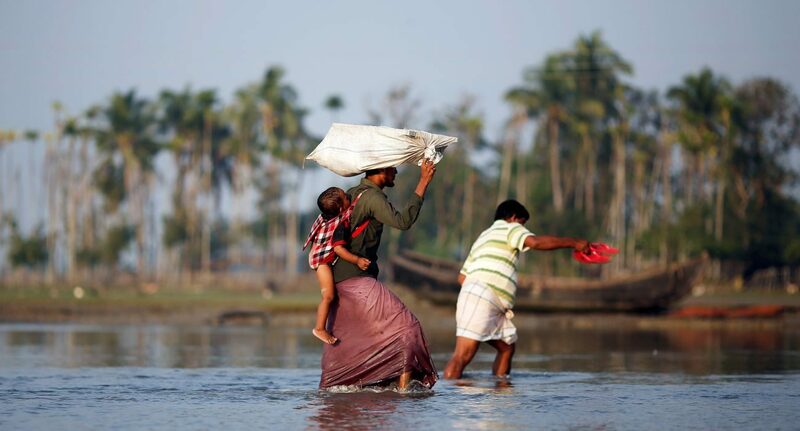 DHAKA, Bangladesh (CNS) — Rohingya refugees slated to be among the first repatriated to Myanmar Nov. 15 refused to return because of concerns for their safety. Mohammad Abul Kalam, commissioner of the Refugee Relief and Repatriation Commission of Bangladesh, told ucanews.com that no Rohingya were willing to go back to Myanmar’s Rakhine state. “We kept five buses ready to transfer 150 Rohingya consisting of 30 families from their camp to transit points, but so far nobody has arrived,” Kalam said at mid-afternoon. He said the repatriation process would not be canceled. “We will come back on Sunday (Nov. 18) to motivate people for repatriation and see how it goes. It will continue in the coming days,” he added. Kalam earlier told ucanews.com that if anyone was unwilling to return to Rakhine, they would not be forced. “No Rohingya will go back to Myanmar against their will,” he said. The commission said that Bangladeshi officials had completed preparatory measures to begin returning 2,260 Rohingya who have been verified by Myanmar within two weeks. There were reports of some 1,000 Rohingya refugees demonstrating in at least one camp Nov. 15. Bangladesh and Myanmar agreed in January to repatriate the more than 700,000 Rohingya who fled to Bangladesh to escape a Myanmar military crackdown in Rakhine that began in August 2017. Local and international media reported that the repatriation plan had created panic in the refugee community and many have fled the camps in recent weeks to avoid being listed for returning to Myanmar. Nur Alam, 34, a Rohingya from Balukhali refugee camp, told ucanews.com that he knows of no Rohingya willing to return to Rakhine. “A few days ago, government officials came to our block and asked us if we would go back. Everyone’s view was negative. We believe Myanmar is not safe for our return,” said Alam, a father of four. “Like me, every Rohingya would go back if we are assured that the Myanmar government would grant us citizenship and all basic rights, and a U.N. peacekeeping force is deployed to ensure our safety and security in Rakhine state,” he said. International rights watchdogs including London-based Amnesty International and New York-based Human Rights Watch have called on Bangladesh to halt what they term a “dangerous” and “premature” repatriation plan. A United Nations fact-finding mission in September found that the Myanmar military’s earlier persecution of the Rohingya amounted to genocide.